This compact switcher box allows connection of up to four stereo sources, between two amplifiers. 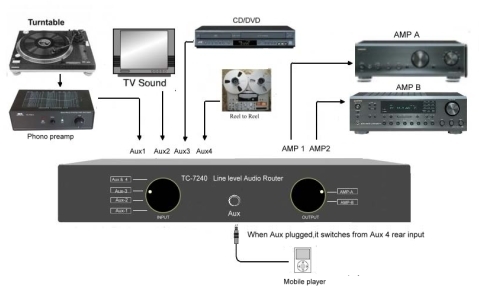 audio to your Home Theater System. ․ Heavy duty solid metal case. ․ No external power required.